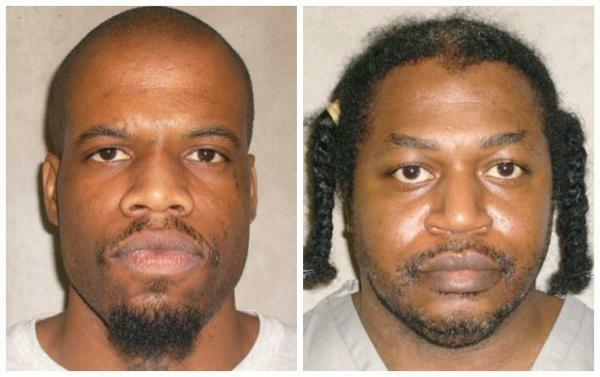 Missouri had hoped to carry out the nation's first execution since Oklahoma botched one, but the U.S. Supreme Court has ordered the state to halt its plans. The U.S. Supreme Court was asked to step in after the Eighth Circuit Court of Appeals removed a stay that it originally put in place. 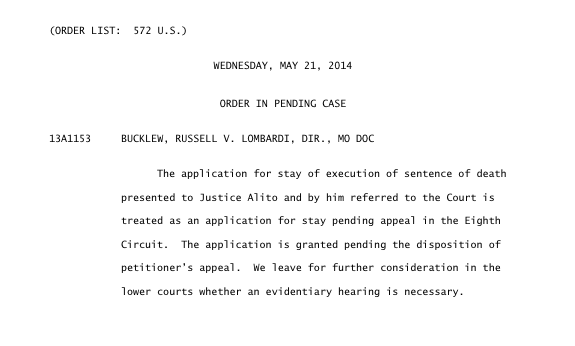 Russell Bucklew had been scheduled to be executed at 12:01 a.m. on Wednesday. It would have been the state's seventh execution in as many months — equaling the number of executions the state has carried out in the preceding nine years. As the AP reported, "Bucklew shot and killed his ex-girlfriend's male friend (Michael Sanders) in 1996, then abducted and raped the woman." Bucklew's attorneys and medical experts have argued that a rare birth defect was likely to put him through extreme pain during the execution. A medical expert examined Bucklew at Potosi Correctional Center and said he found large tumors on the inmate that bleed when touched. "The bottom line is that there is no way to proceed with Mr. Bucklew's execution without a substantial risk to Mr. Bucklew of suffering grave adverse events during the execution, including hemorrhaging, suffocating or experiencing excruciating pain," Dr. Joel Zivot said in an affidavit. Bucklew's attorneys asked U.S. District Judge Beth Phillips to halt his execution or for his execution to be videotaped, should it go awry. Phillips denied both requests, but a higher court overruled her. "Bucklew's unrebutted medical evidence demonstrates the requisite sufficient likelihood of unnecessary pain and suffering beyond the constitutionally permissible amount inherent in all executions," the Eighth Circuit Court of Appeals wrote. Phillips originally denied the stay because Bucklew hadn't proposed a better way of killing him. The Eighth Circuit overruled her, saying it wasn't a requirement in this case. "The requirement for an inmate to set forth an alternative method for execution does not apply in a case like this involving a specific, medically-based, as-applied, individual challenge to a method of execution,” the judges wrote. Bucklew's execution has been stayed, but the state is likely to appeal the ruling to either the full Eighth Circuit, or the U.S. Supreme Court. The stay comes in spite of recent events. Late last week, Phillips also dismissed a lawsuit brought by a consortium of death row inmates against the state's execution methods. The inmates and their attorneys have long argued that Missouri's protocol, which relies on a secret compounding pharmacy to mix the drug, would be likely to put them through extreme pain, in violation of the Eighth Amendment ban on cruel and unusual punishment. Compounding pharmacies, they point out, are not regulated by the Food and Drug Administration, and their products have a high failure rate. The execution in Oklahoma, a state that also keeps its supplier secret, ended up doing little to sway the opinion of judges. Phillips ruled the case must be dismissed, as the inmates didn't propose a better way for them to be executed, which she says is required. The inmates' attorneys conceded that "other methods of lethal injection the Department [of Corrections] could choose to use would be constitutional," but did not specify what those methods could be. Phillips said that wasn't good enough. "Without factual allegations permitting the court to determine whether the alleged alternative method is reasonably available and less likely to create a substantial risk of harm, plaintiffs have not stated a plausible claim for violations of the Eighth Amendment," she wrote in a ruling. Attorneys representing death row inmates responded, saying they couldn't ethically propose a method for their clients. "[We] cannot ethically advocate for a client’s death or aid the state’s effort to bring it about," attorney Joseph Luby wrote. He pointed to a legal writing by the Ethics Bureau at Yale Law School supporting his statement. What's more, he says, "[We] cannot show that an alternative method is 'feasible' and 'readily implemented,' without knowing what efforts [the state has] attempted, even as [the state itself] insists that suppliers are hesitant to furnish them with lethal injection drugs," Luby said. "[The state has] resisted any and all discovery of their present or previous suppliers," he said. The Eighth Circuit wrote that the death row inmate's lawyers don't just have to prove that the state's method of execution has a high risk of severe pain -- but that they also must show it's a high risk when compared to available alternatives. "Our analysis must begin with a basic proposition: '[C]apital punishment is constitutional. It necessarily follows that there must be a means of carrying it out,'” the Eighth Circuit wrote. That could prove to be a difficult task for the inmates' lawyers, as there aren't many choices left. The attorneys are not without options, though. They plan to appeal Phillips' decision to higher courts -- although the Eighth Circuit Court of Appeals is the court that first ruled the inmates must propose an alternative, and the U.S. Supreme Court has so far shown little appetite for taking on a case centered on the secrecy surrounding lethal injection. Meanwhile, several media and First Amendment organizations have brought lawsuits against the Missouri Department of Corrections for withholding open records, and I am a plaintiff in one of the lawsuits. Some death penalty experts believed the controversy after Oklahoma's botched execution, which lasted for more than 40 minutes and ended in a heart attack, would cause states to halt their executions. Missouri and Oklahoma use different drugs, but both have resorted to compounding pharmacies, and both have attempted to keep their supplier a secret. A week before an execution in Oklahoma went awry, Missouri Attorney General Chris Koster used the state as a reason information about Missouri's supplier should be kept secret. At this point, close to nothing is known about Missouri's supplier. We reported the identity of Missouri's previous supplier in January and pointed out the Oklahoma-based pharmacy was not licensed in Missouri and had been cited in the past by regulatory agencies. That pharmacy has been replaced by a new one, and the state has withheld almost all records on this new supplier. 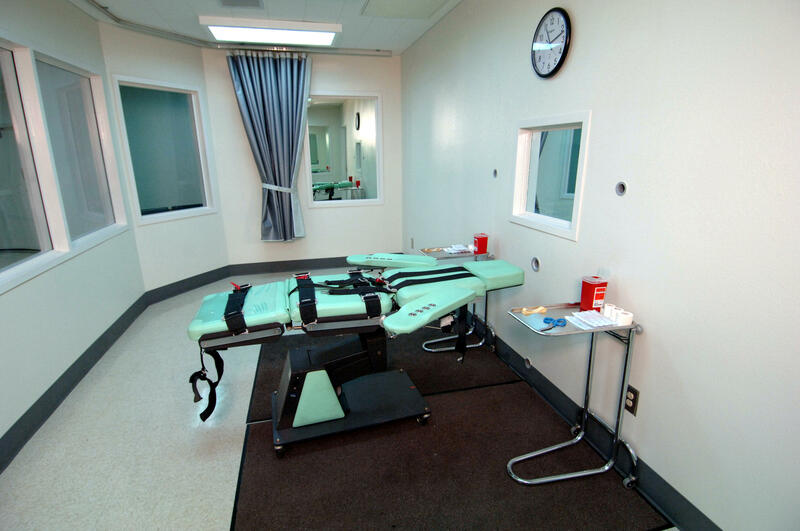 The American Civil Liberties Union has called on Missouri and Oklahoma not to carry out executions until an international human rights organization can investigate how Oklahoma's execution went awry. 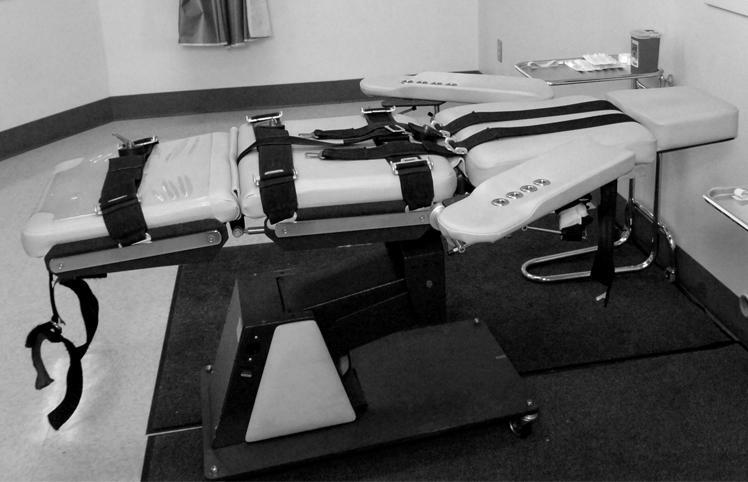 "The current lethal injection schemes in Oklahoma and Missouri violate the U.S. Constitution’s Eighth Amendment ban on cruel and unusual punishment by creating an objectively intolerable risk of excruciating pain," the complaint states. "These unconstitutional practices have been facilitated by the secrecy surrounding the development and implementation of lethal injection protocols in these states." Oklahoma is currently conducting an investigation that the state had originally touted as "independent," although it was later pointed out that the one conducting the investigation reports to the governor, and plays a role in the state's lethal injection procedures. Lombardi: Flickr/Mo. Dept. 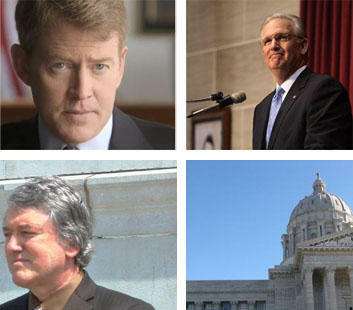 of Public Safety Koster: via Chris Koster campaign ad Nixon: UPI/Bill Greenblatt, Capitol: St. Louis Public Radio and The Beacon. For the death penalty to be carried out in Missouri, it requires three agencies in particular to work in sync. The Department of Corrections performs the executions. The governor appoints the head of the Department of Corrections and can offer clemency to death row inmates. The attorney general defends the state when the execution method is challenged. Each agency has found itself in the spotlight recently as Missouri's execution procedure has come under scrutiny. In an investigation spanning the past few months, St. Louis Public Radio and the Beacon has discovered the state of Missouri may be ignoring its own laws in carrying out the death penalty by buying execution drugs from a pharmacy not licensed to do business in Missouri. As we’ve reported in previous months, a shortage of willing drug suppliers led Missouri Gov. Jay Nixon to direct the state to adopt a controversial new execution method.